By now, you’ve probably heard that milkweed planting is a thing – since the David Suzuki Foundation’s Got Milkweed campaign has been encouraging people to plant it and help improve the monarch butterfly population. Well, did you know that fall is the best time to plant milkweed seeds. 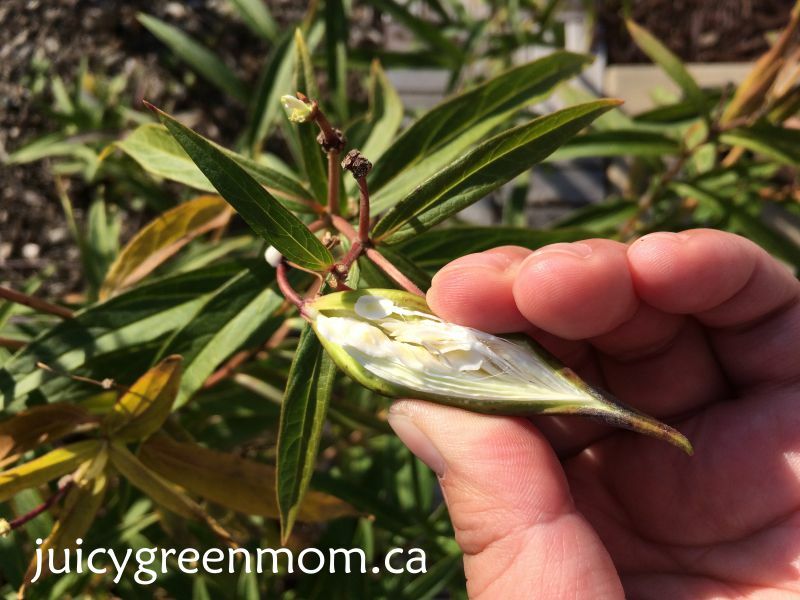 I have 3 milkweed plants in my garden, and now I have a whole bunch of plants with pods on them, so I looked up how to harvest milkweed seeds! My plants have had milkweed pods on them for awhile, but they haven’t looked ready to pluck until now. The site I was looking at stated that you don’t want to pick the pods before they’re ready. When the pod splits easily and you see some pretty brown seeds, you can pick the pod off to harvest! It’s easiest to open the pod completely and pop out the center part with all the seeds on it. 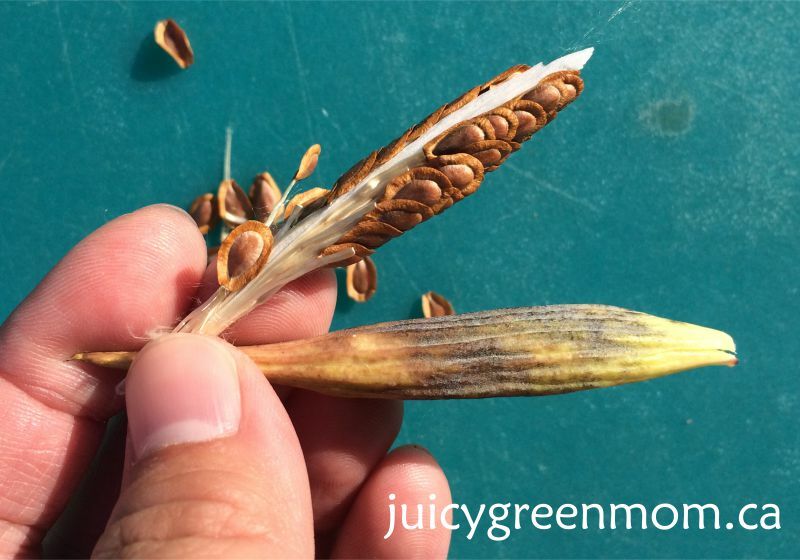 If you don’t disturb the white stringy fluffy part in the middle of all the seeds, it’s easy to pick the seeds off without making too much of a fluffy mess. I read that you should plant the seeds now because they do well over the winter. If you want to save them for planting in the spring, putting them in the fridge helps to simulate winter and get them ready for successful planting in the spring. If you want to save them for longer, keep the seeds in an airtight bag or container in a cool dark place. 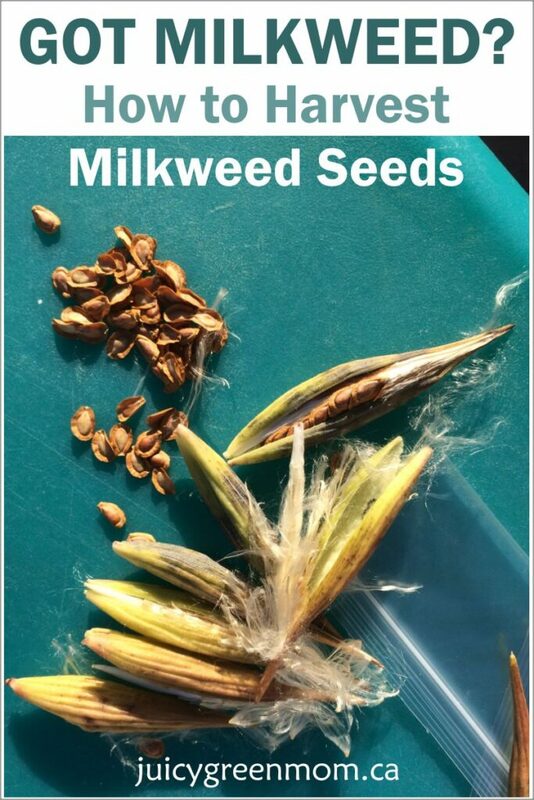 I also have a limited number of milkweed seeds from my plant that you can purchase! (A pocket of 30 seeds for $10 including shipping.) Shoot me an email if you’d like me to send you some! Are you going to plant some milkweed this fall? Yes my kindergarten class found some milk weed pods today. We will plant them soon. Thanks for the info.